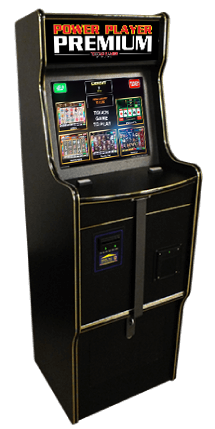 Premium jackpots and 4 software versions. Reel and poker games all in one. Reliable hardware, low power consumption, great player appeal, exciting bonus features, great earning potential, detailed bookkeeping, and easy to use operator menu. Printer and bill acceptor available for an additional cost.